Gwadar port will be operational soon with the help of china. 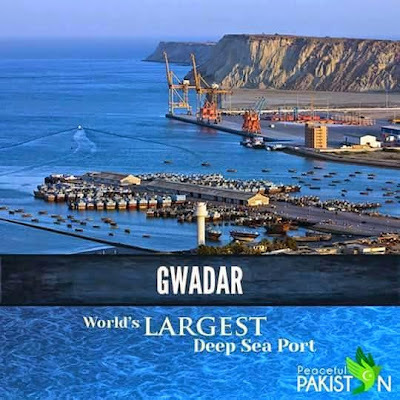 this port will prove to be game changer for Pakistan if it got operational and security situation In Balochistan continued to Improve as it is Improving. this is why enemies of Pakistan don't want this project to get successful at any cost. according to sources Indian Intelligence agency RAW has specially formed a desk to fail this project. India will also try to use terrorism for this purpose by supporting the separatists in the province. India has also offered Iran to make a port in Chabahar to counter the Gwadar. Gwadar will also give competition to other ports in the regions like Dubai so UAE also seems upset with this project. despite all the threats and challenges Pakistan will have to complete this project and make it operational to start the journey of progress and prosperity.